What makes a better present than helping someone choose art they'll love? 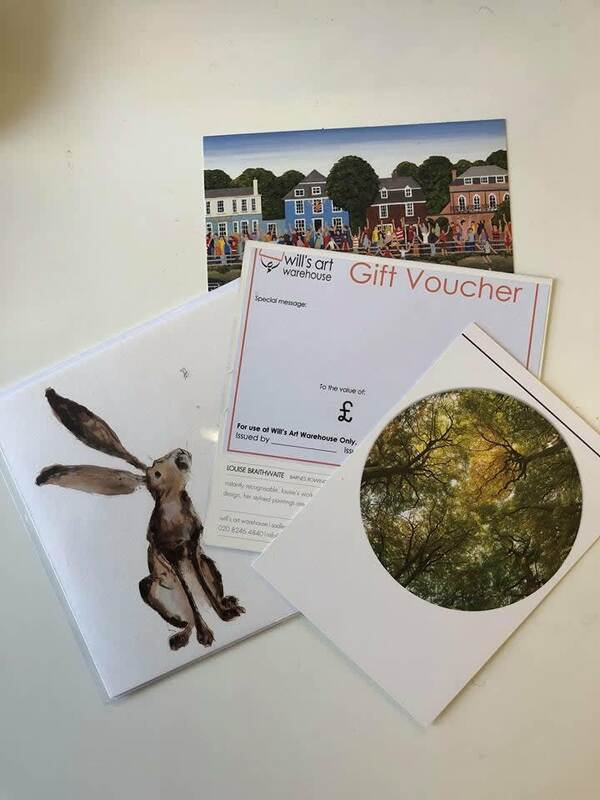 Will's Art Warehouse offers gift vouchers for you to help turn houses into homes for the people who mean the most to you. It's a great way of giving a truly original present (without the worry that the recipient might not like it...!). To order a Gift Voucher email us by clicking the @ icon at the top of the page or phone us in the gallery and we'll arrange it all, including postage to the recipient if desired!